· Spanish translation of the Exposure Draft: Disclosure Initiative (Proposed amendments to IAS 1), issued by the IASB in English in March 2014. It is available on the 'Comment on a proposal' webpage. Comments to be received by 23 July 2014.
eIFRS/Comprehensive subscribers can access the above Spanish translation from eIFRS (you will be required to provide your login details). This section is updated throughout the year with translations of new and revised Standards as issued by the IASB, as the translations become available. If you wish to purchase a Comprehensive or eIFRS subscription please visit our Web Shop. To find more information about our available translations visit the Translations Status page. 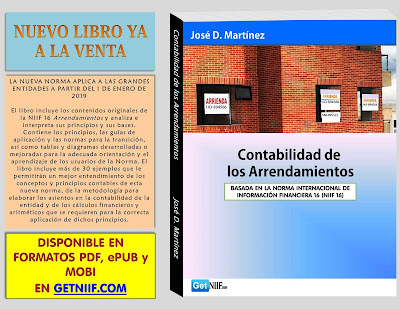 If you are interested in purchasing our available translated publications please visit the IFRS Web Shop.